You knew I had to visit The Office one last time, right? 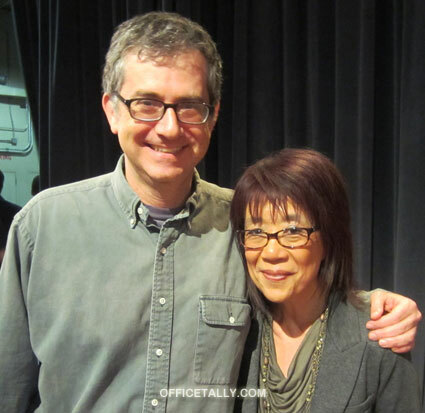 Yes, this is me with The Office Executive Producer Greg Daniels. He wrote the one-hour series finale, which airs May 16th. I will say that I have never seen the cast, producers, writers, and crew work as hard as they did today. I was there from 9am past 7pm, and they were still still shooting when I left. This is an incredible group of people.